Founders started this strictly in 6 pack bottles and then made the genius move of putting it in cans allowing for easier mobility and also easier to dispose of (see Iowa Football tailgating). This was the beer of choice at the Beer Baron’s tailgates last fall and will probably be again this year. All the things you are looking for in an IPA is evident: great hop flavor, a bit of sweet resin, and bit of malt backbone. Founders is a top-tier brewery, and this brew helps solidify that. Schlafly has really made their mark since hitting Eastern Iowa stores with various styles and last summer, their can sessions started showing up. Coming in 6 packs, this beer does a great job in giving you that initial hop flavor and maltiness to balance. This one seemed a bit sweeter to me than the All Day from Founders but still good. The newer of the sessionable IPAs, Stone gives us what Stone usually does, an intense hop forward beer that packs a punch! I got a lot of grapefruit and pine flavor from this beer with minimal to no malt balance. Stone starts putting this in cans and we might have a competition with Founders. I recently had this for the first time at a local bar which shocked the hell out me that they actually had it on tap. Not really known for their great craft beer, and their options were limited, I went for the Pop Up. I honestly admit I’m not a huge fan of Boulevard’s IPAs, but I do really love their Smokestack stuff, but I thought I’d give it a go. Floral and citrus aroma with slight but evident citrus hop flavor. **OVERALL** – If you are looking for a summer party brew you can’t go wrong with any of these beers. They are all very good sessionable IPAs. 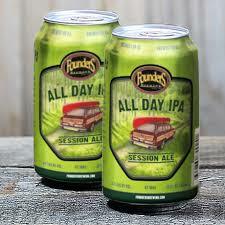 The cans from Founders and Schlafly make it easier to take to a BBQ or picnic and Founders recently introduced a 15 pack of All Day cans. I haven’t had Hop Rise from Central Waters yet and if/when Lagunitas gets here they will have Daytime IPA too. Either way, drinking any of these this summer or fall can easily lead to a (SLIM and Matt, this is dedicated to you)……..
MY PICK: If I had to choose one, gun to my head, I think I would go with Founders All Day IPA. I think it’s the most balanced but also has the great hop flavor. What’s your Session IPA? C’mon, c’mon….NONSTOP YEAH!!! Ok, now I am in the mood to sit down to an all day session of beer drinking and listening to that song over and over. Seriously, though…you can’t go wrong with Founders, Boulevard or Stone. 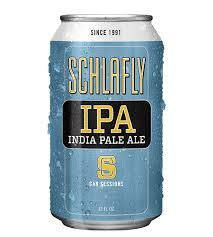 I think Schlafly beers are overrated across the board, but maybe it’s just me. I’m interested to see if more brewers go into the can offerings….seems like it’s been successful for the ones who have? Absolutely, I think more will definitely start canning in the future! I voted pop-up, glad to see that some bars around here are carrying it now. I noticed that Great River has an entire series of session beers. I tried the chocolate blonde which was good. All in all, very excited about all of these new options for IPA’s…great post!